Students are often confused by the correct usage of plural and singular nouns and verbs. 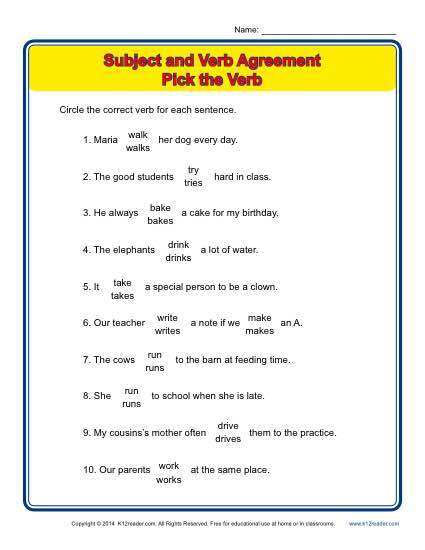 This worksheet asks your student to decide which form of the verb to use in a sentence. Helpful for 3rd grade Common Core Standards for Language, it may also be useful to other students.